Check Out the New Beauty Try on Tool at Bloomingdales! I went through a bunch of different lip products and found that you can view lipsticks, lip glosses, and lip tints. I didn't see any lip liners available through this tool. 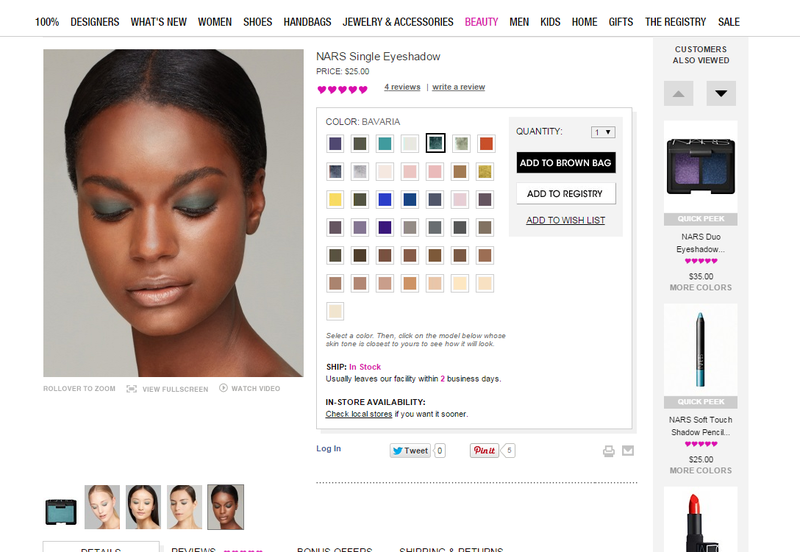 You can also try eyeshadows and nail polishes. This looks like it will be a great reference and I am hoping more websites implement something like this.